Smart home addicts relying on Nest for their HVAC can now hook the learning thermostat up to an Insteon automation system, integrating it with their lighting, security, and more. The new support, added in an update today to the Insteon Hub as well as the iOS and Android apps, allows Nest users to remotely control their home or office temperature. That was of course already possible with Nest's own apps, which allow settings for the thermostat to be manually controlled remotely. Update: Insteon tells us that there is currently no macro support for its Nest integration. In the future, the company says, the hope is that the thermostat can be included in macros, such as changing HVAC settings alongside lights. Insteon supports various timer- and motion-triggered actions, like unlocking doors or opening the garage, and so you could presumably have the heating turned up when you arrive home, even if that's outside the times that Nest itself has learned you're around. Insteon relies on a combination of AC power line and wireless to communicate between devices, and is flexible enough to work with third-party devices like Revolv's Hub which we reviewed last year. 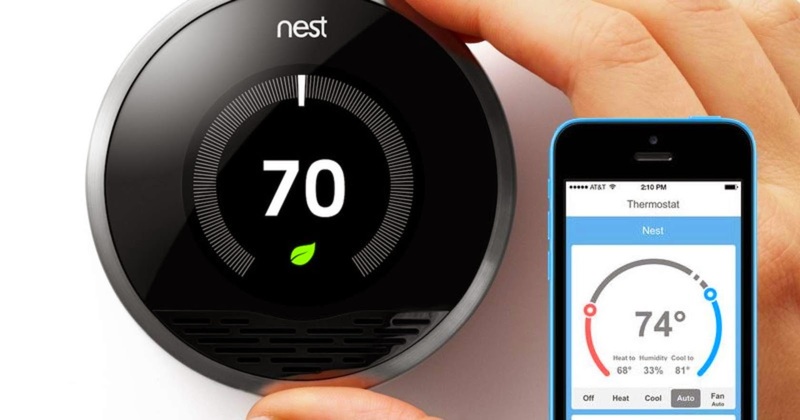 Meanwhile, Nest is believed to be one part of new owner Google's own smart home ambitions. According to rumors, the search giant is still harboring home automation ambitions that could include streaming media among other things. You'll need an Insteon hub in order to use the new Nest integration, of course, which runs to $129.99 if you opt for the company's own model, while Nest itself is $249.